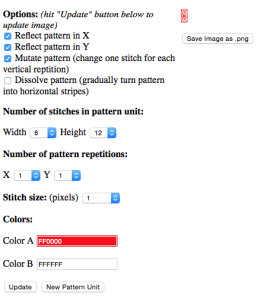 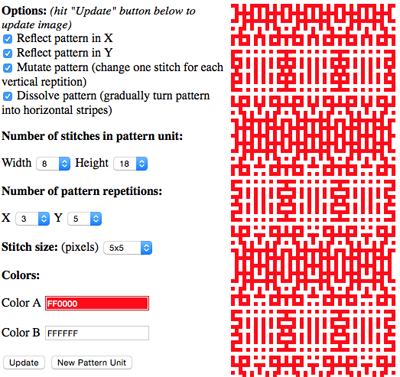 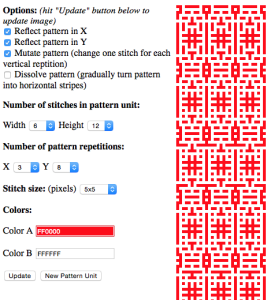 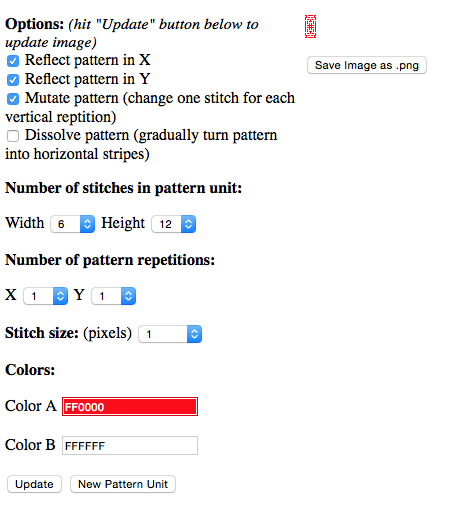 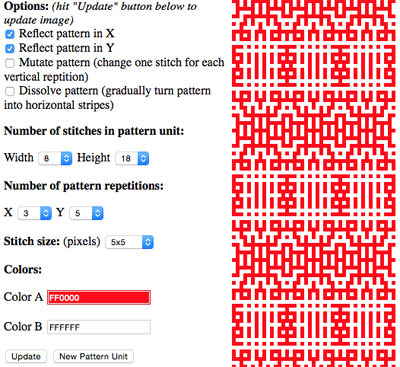 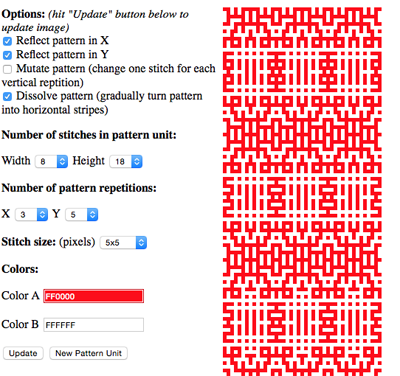 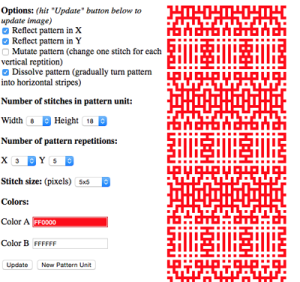 Laura Kroegler shares an online generator for “mosaics”, unikatissima offers them for mazes and cellular automata. 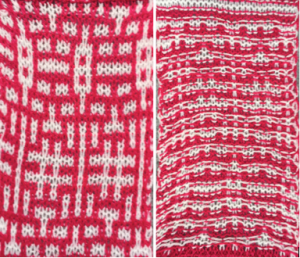 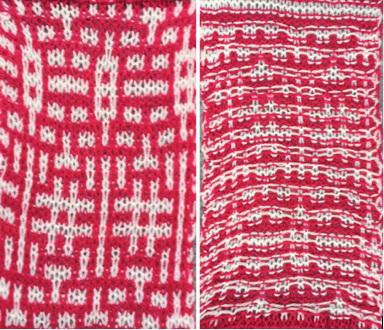 Representations of such patterns have cropped up in relation to hacked knitting machines and electronic downloads such as those seen in the Claire Williams blog, and in published information by Fabienne, who of late also has a kickstarter project. 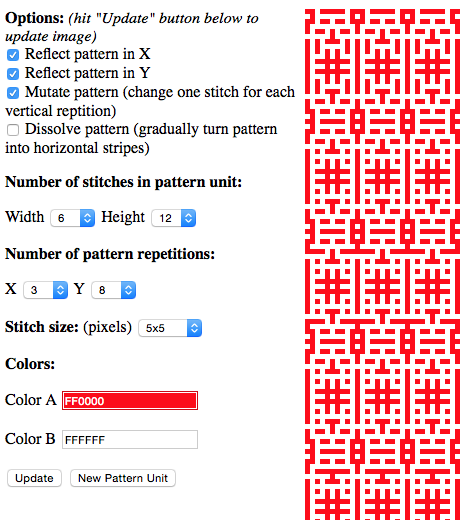 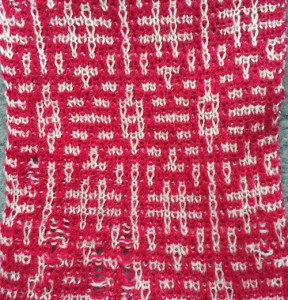 Such patterns may be charted for hand knitting or for use on punchcard machines once the size of the repeat is taken into consideration. 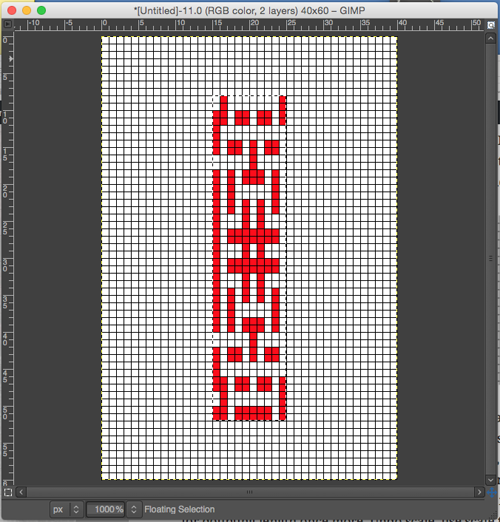 Mirroring either vertically or horizontally can make the image far more interesting, but that has to be a consideration in planning if the stitch repeat has a constraint of 24 stitch limit. 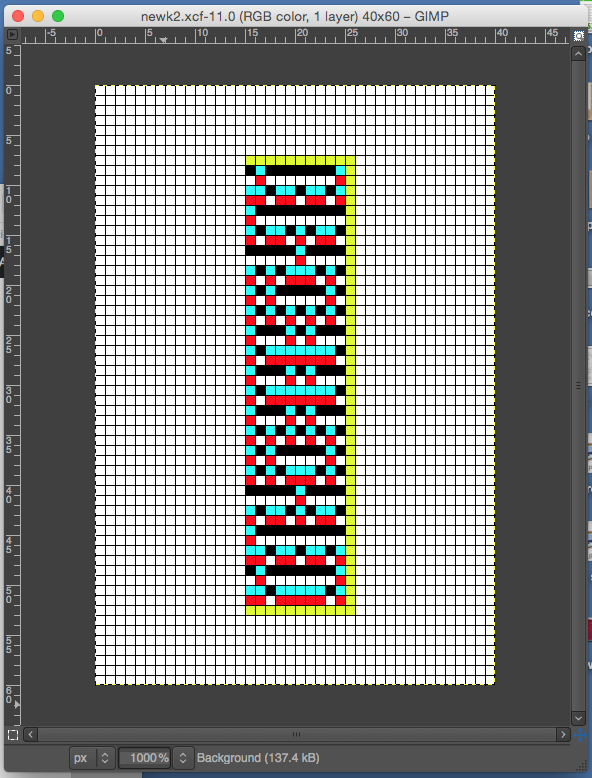 A beginning unit 6 stitches wide will allow for the horizontal mirror to be repeated twice on the punchcard. 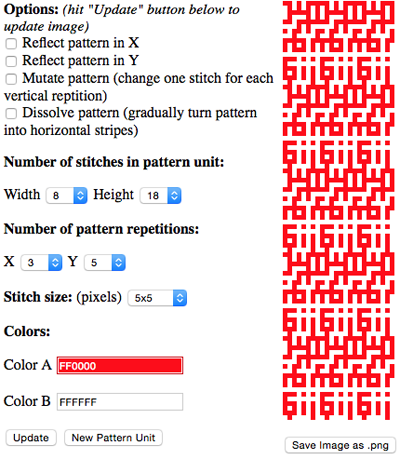 The minimum punchcard length is 36 rows. 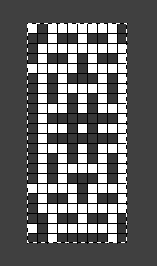 The maximum scroll down to height in the Kroegler generator is 20, so for the least punching, an 18 row max would “fit”. 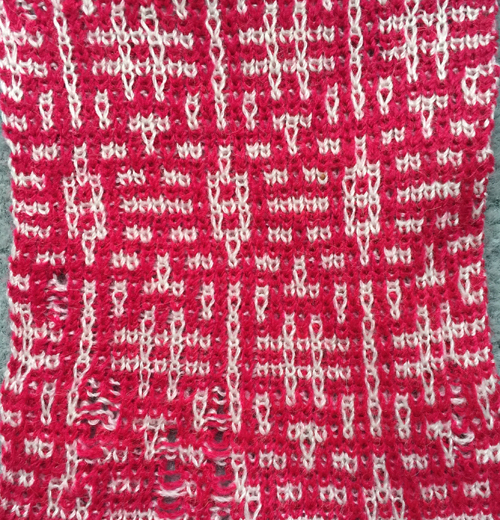 The caveat here is that if the generated pattern is to be knit as DBJ or as single bed slip stitch, those 18 rows need to be color separated accordingly. 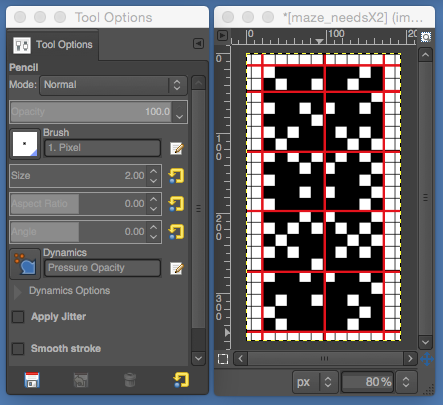 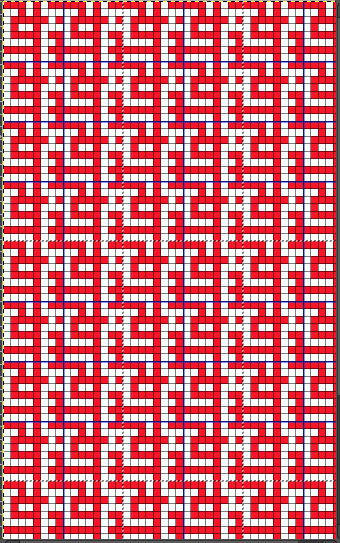 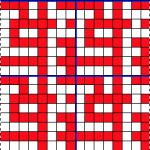 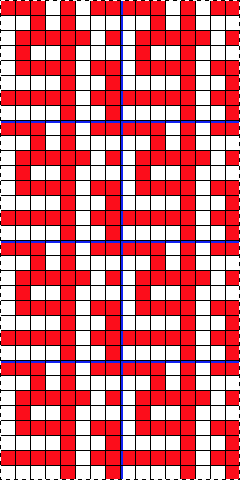 For the design to be charted out easily, it may be saved, and then in turn gridded in Photoshop or Gimp with grid matching stitch size in the generated pattern preview (ie below note X and Y values are 5 X 5, so grid used would be 5 X 5 pixels as well). After reviewing the tiled generated pattern, the image may be carefully captured from screen and saved. 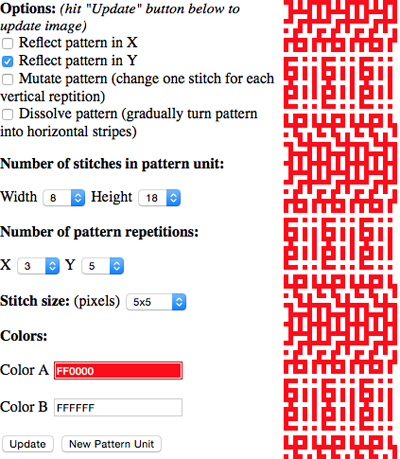 I worked with an 8 stitch repeat for my tests. 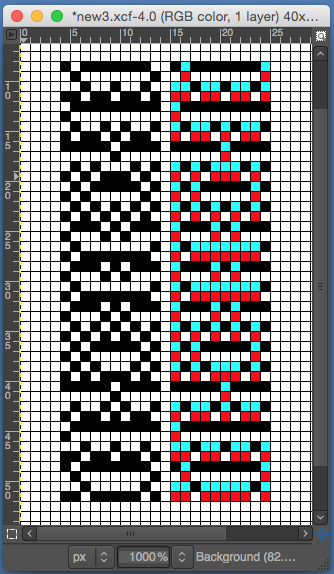 Below are screen grabs of the resulting patterns after some of the various options offered were tried. 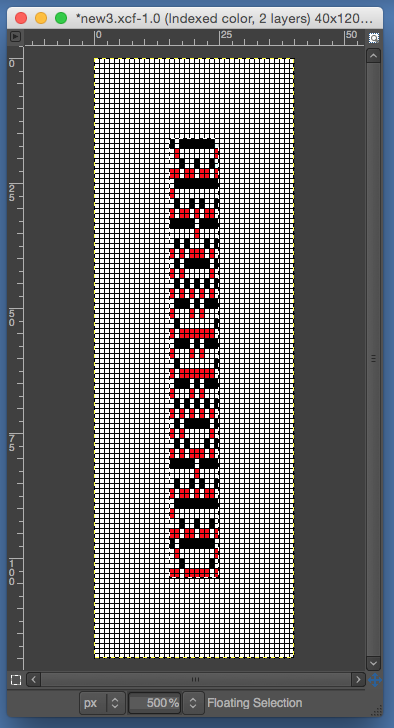 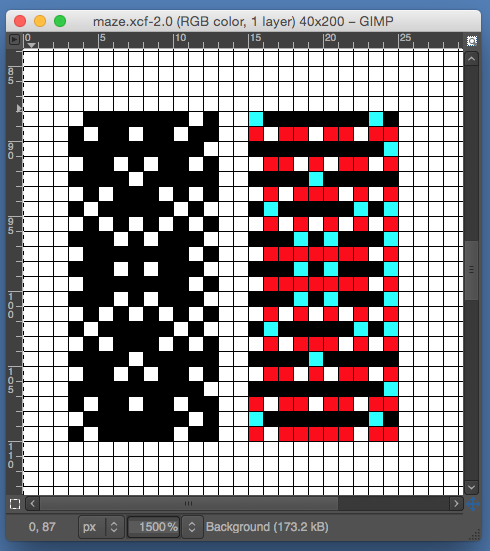 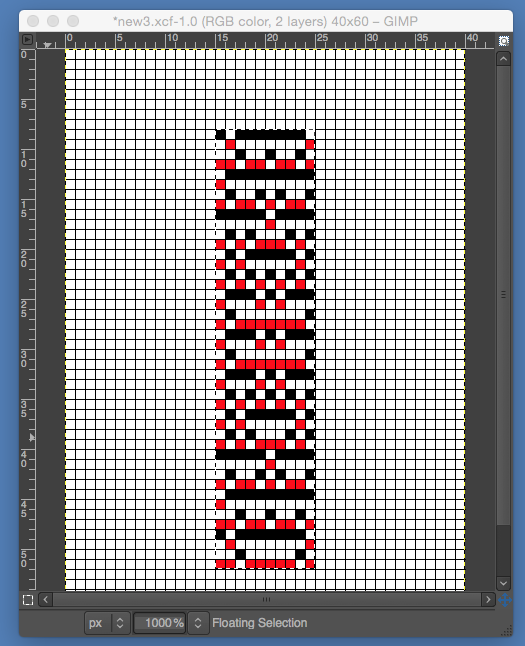 Mirroring this repeat horizontally, makes it too wide for a punchcard (16 X 2=32). 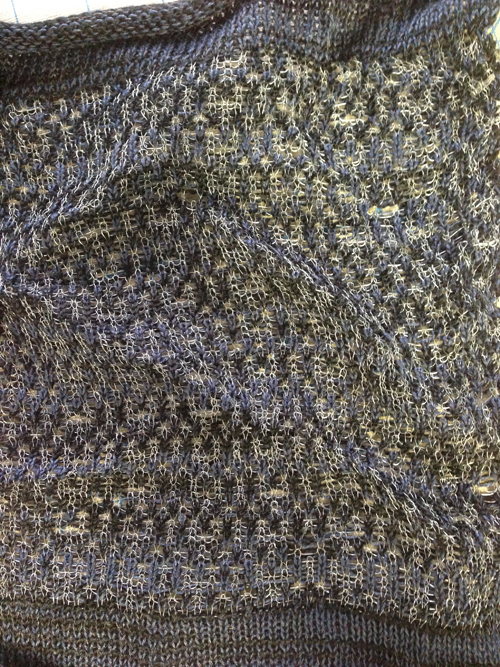 and then there is the knitting of it…. 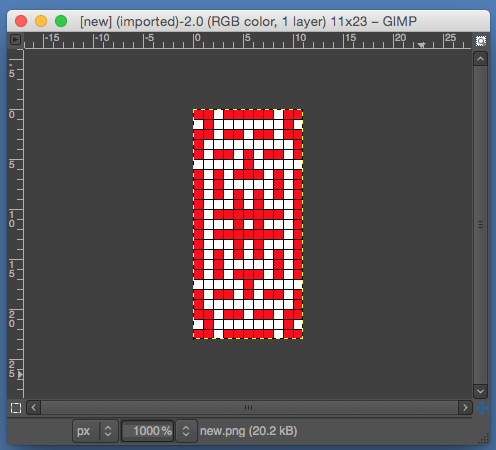 For the latest version of gimp use on Mac, version history may be found at gimp website, for Mac Yosemite and Mavericks’ latest information on version 2.8.14 .